This pair of white circle pearl earrings have a contemporary design. 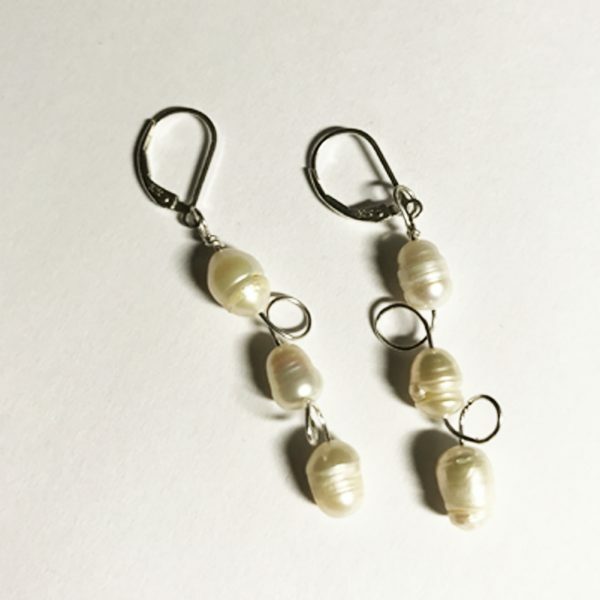 Three white Baroque pearls connect with silver wire through silver circles to dangle 1.5 inches from silver lever backs. 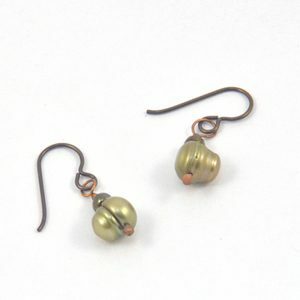 White pearls combine with silver wire for this pair of contemporary earrings. 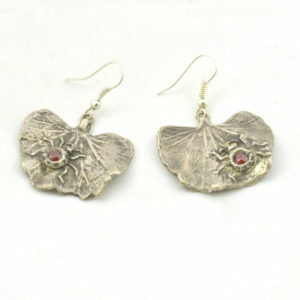 In each earring silver wire circles separate white pearls creating long dangles. The white circle pearl earrings dangle gracefully from the secure lever back closures. 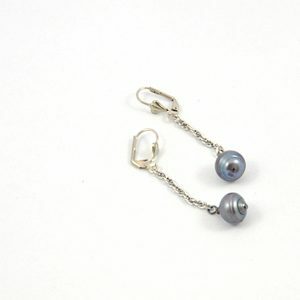 The pearls drop 1.5 inches from silver lever back closures. Look carefully at the pearls and you will see circles around the centers – that’s why the name of ‘circle pearls’. I find the asymmetry delightful in this type of Baroque pearl! I hope you will too. White pearls symbolize purity and are the most popular color. 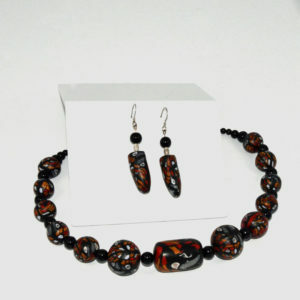 They accent most wardrobe styles with a touch of class! This design makes a modern statement using classic pearls. You might be interested in the centuries old history of healing properties of pearls.